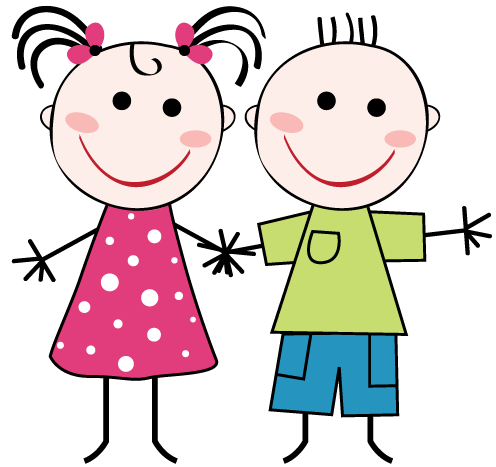 Here you can find all KomfiKidz products! This adorable blanket is perfect for your little one. This blanket is made with extraordinary soft fabric on both sides. 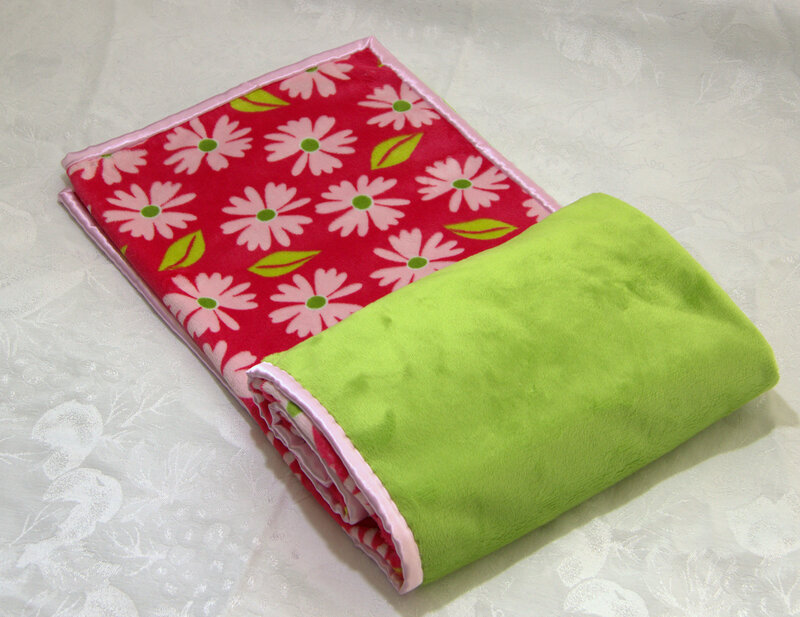 One side is a bright watermelon color with light pink daisys. The other side is an extremely soft lime green minky fabric. A light pink satin border surrounds the blanket. 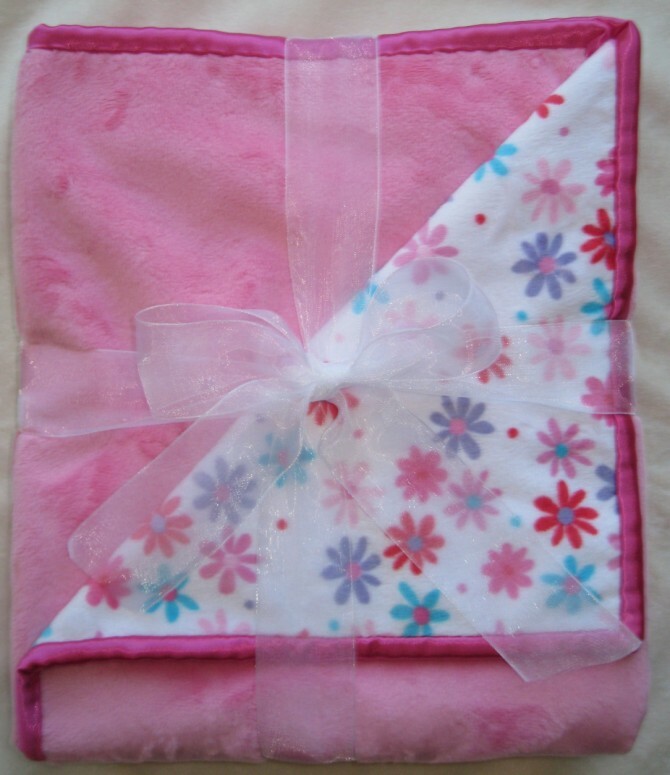 Size: This blanket measures approximately 30" x 35"
This adorable blanket is perfect for your little one. This blanket is made with extraordinary soft fabric on both sides. 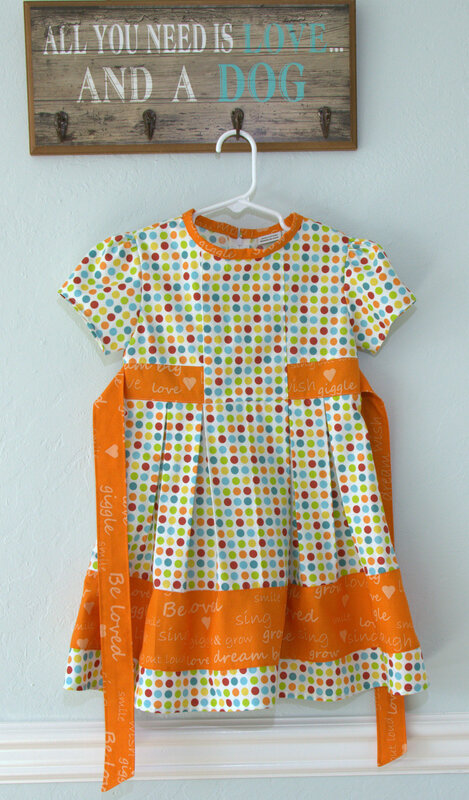 One side is a white fabric with small colorful daisy's. The other side is a soft pink minky fabric. A dark pink soft satin border surrounds the blanket. Flowers, flowers everywhere! This mixture of colorful flowers will instill in your child a love of the outdoors! The soft flannel back will be sure to bring a smile to your child's face. Colorful decorative stitching throughout add an extra dimension to this beautiful quilt. 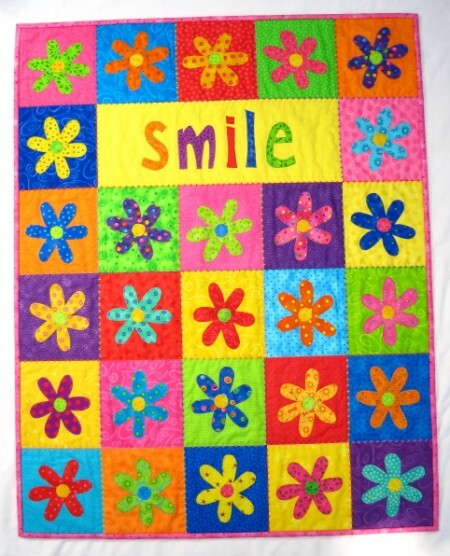 This quilt can be used to comfort a child or as a decorative wall-hanging. You can easily personalize this quilt. Your name can appear in place of "Smile." Simply, enter the name you wish to appear on this quilt below. Size: This quilt measures 31.25" x 39"
Materials: 100% cotton (including inside batting) all fabric has been pre-washed. Each quilt is carefully handcrafted and made to order using over 50 different fabrics. Fabric may vary slightly from the quilt pictured.